Supertuff manufacture a range of strong and durable plastic mobile container trucks. Used throughout many different industry sectors our premium tapered trucks are known by many names such as plastic mobile bins, large plastic skips, plastic container trolleys and food grade bins. Essentially heavy duty plastic containers on wheels our plastic tapered trucks are produced using a rotational moulding process. The stress-free manufacturing process ensures a seamless plastic mobile container that is watertight, durable and incredibly strong. A popular choice for a wide range of different industries including food manufacturing and food processing, catering and hospitality, pharmaceuticals and healthcare, textiles and clothing manufacturing, waste and recycling, engineering and electronics, warehousing and retail distribution; and logistics and general manufacturing. 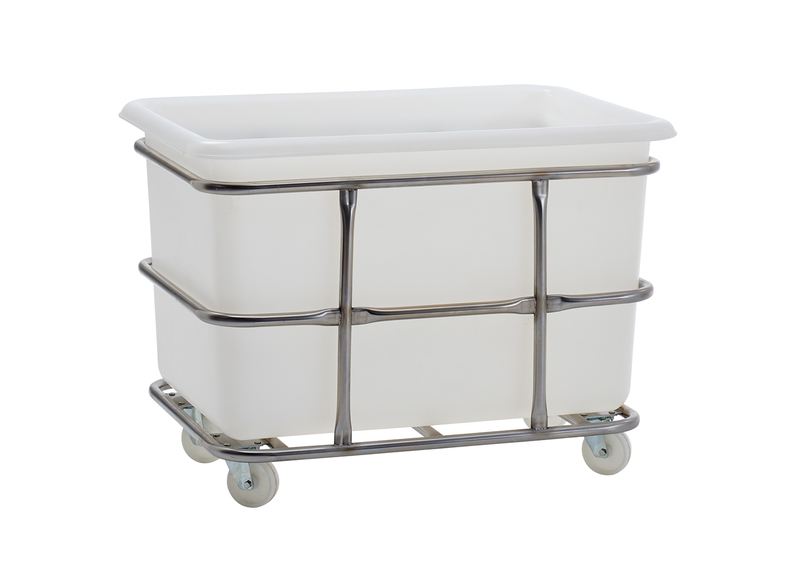 Manufactured from food grade polyethylene the plastic container trucks are well suited for use within food contact and high environments as well as clean rooms. 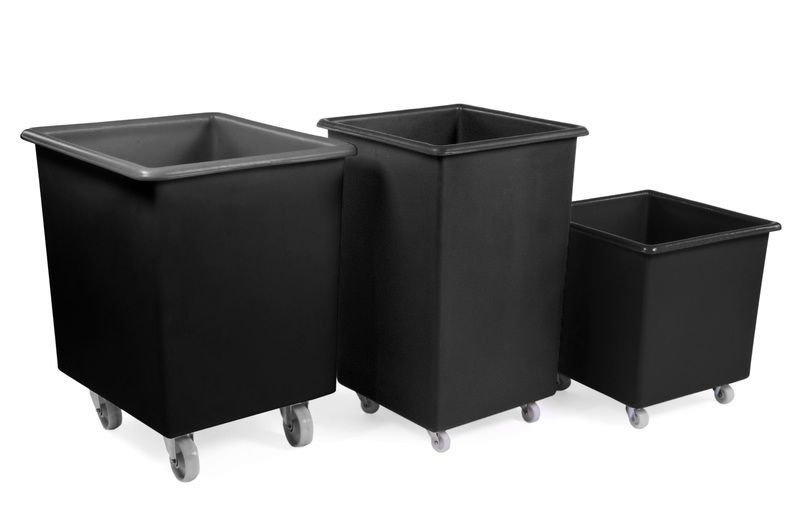 Available in 8 different sizes our premium tapered trucks are used as catering bins, bottle skips, bar trucks and plastic container trolleys within restaurants, pubs, bars, commercial kitchens, food factories, warehouses, industrial bakeries, laundries and many more. 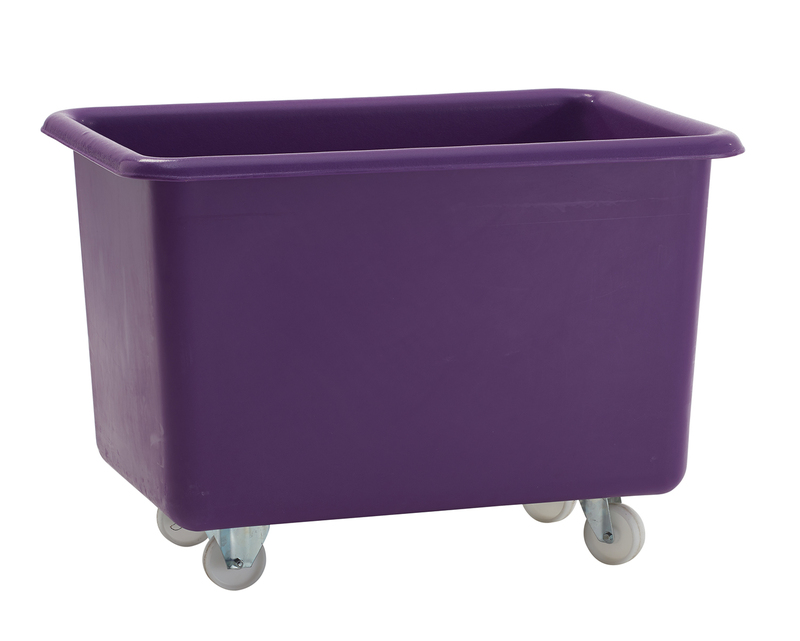 All 8 sizes of premium tapered trucks and catering bins are available in over 12 different food approved colours. To help with colour coding, product separation and product segregation these mobile container trucks are ideal for handling food products and food ingredients. 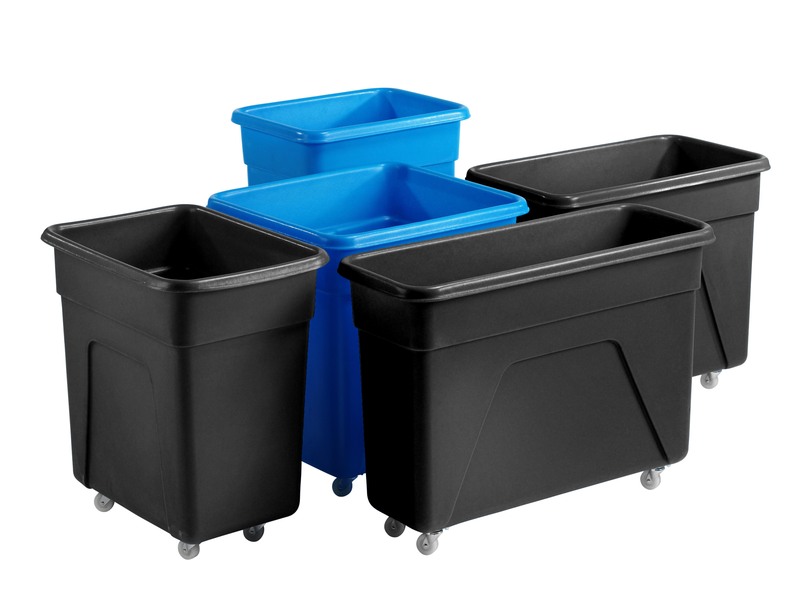 Optional drop-on plastic lids and heavy duty plastic handles are also available to help cover and protect the plastic mobile containers contents and offer increased manoeuvrability.